What makes you happy? Often, happiness is associated with a feeling of elation which leads too many of us to attain happiness by working towards the next big goal. Even though goals can make us happier once we’ve achieved them, the bit in the middle e.g. working towards that goal is equally important. 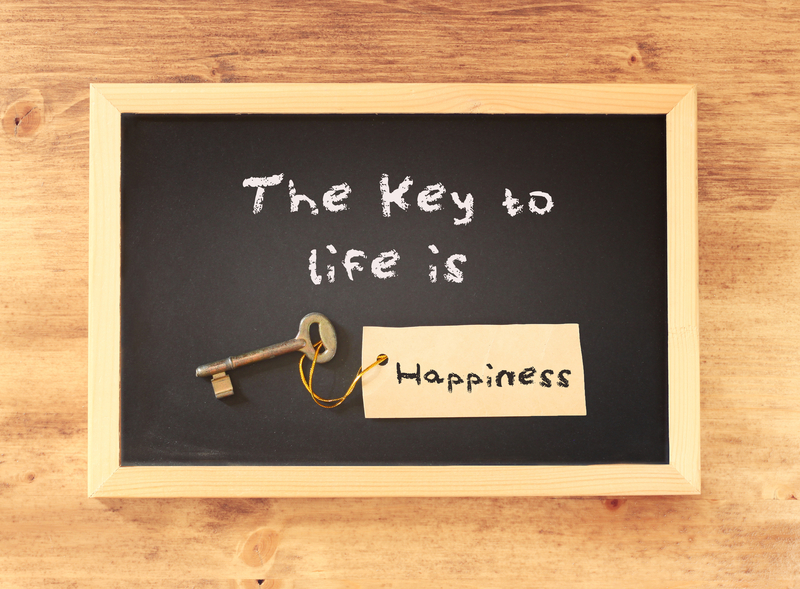 When happiness = elation, the goal posts for what could make us happy always move slightly out of reach. Perhaps, like the Dalai Lama’s approach towards happiness, as demonstrated on the ‘video of the week’ page, happiness is more intertwined with a sense of satisfaction. So, how can you live a happier life? Getting wrapped up in other peoples’ problems might help you to stay in touch with good friends and family, but it is toxic for your health in the long run. If you feel as though you are rushing from one thing to the next, it is highly likely that you have placed yourself quite low down on your own priority list. Making yourself a priority is essential for your happiness and well-being. Try marking out some time in your day and spending that time to address your needs. By saying no to the things that you don’t want to invite into your life, you are protecting your happiness and sense of life satisfaction. There are increasing expectations and pressures from work to say ‘yes’ to anything that is thrown your way. Yes’ are dressed up as opportunities. If you don’t say yes, the underlying fear might be that an opportunity has been missed, or negative thought patterns, such as, they’ll think less of me if I say no arise. These are unhealthy ways to deal with saying no to things that you don’t want. By constantly saying yes to things, you are bringing unnecessary stress into your life. Forget what other people might be thinking and do what’s best for you. Strong, healthy relationships are the key to a happy life. Consider how you feel after you have had a conversation with the various people in your life. Did you leave that person feeling more energised or drained of energy? Making a change to be more positive and create a happier lifestyle can be challenging at times. That’s why unhealthy relationships need to be dealt with or removed from your social activities. Loving, healthy relationships make you feel safe, secure and happy. Anything that doesn’t fit into that criteria is probably not worth your time. Negative thoughts are the same critical thoughts that we tell ourselves day in and day out. They are usually phrases that let us know that we’re not good enough in one area of our life or other. Meditation is useful for becoming aware of these thoughts, without trying to suppress them. Also, it might be beneficial to keep a diary on specific negative thought patterns. By becoming more aware about what you’re thinking, you can begin to address negative thoughts with a more positive alternative. It is advisable to choose 3 or 4 negative thoughts to begin with. After you’ve chosen 3 to 4 negative thoughts, you can begin to look at the alternatives. Use your negative thoughts to your advantage. Positive affirmations are a great tool to begin expelling negative thoughts and looking at a situation positively e.g. Negative thought: I’m feeling fat and disgusted at my eating habits. Positive affirmation: I’m getting healthier every day. The positive affirmation doesn’t have to be something that is immediately true. It can be a goal that you’re working towards. However, only use positive affirmations if they make you feel better. Doing more of what you love is a sure fire way to kick start a more positive lifestyle. If you love drawing, writing, listening to music, dancing, learning new skills etc., there are limitless amounts of opportunities out there for you to do something that you love. It’s really important to pursue things that you love, even if it’s only initially in your free time. Connecting with things that you love will bring more joy into your life. When you’re feeling low, surround yourself with positivity. Listen to music that lifts your mood. Browsing the internet, reading quotes on happiness and listening to ted talks that impart helpful tips can be a useful tool when becoming more positive. 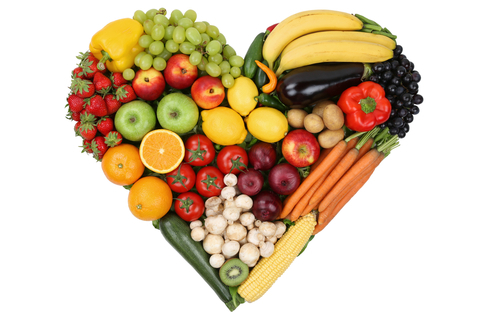 Eating a colourful diet, rich in nutrients can help to improve your mood. Food can have a big impact on the way that we feel and think. Consuming too much caffeine can make us irritable and increase our susceptibility for anxiety. Whereas eating a nutrient rich diet, that includes vegetables, fruit and lots of water can help to regulate our moods, improving our overall well-being. Exercising can really affect you overall sense of happiness and well-being. Regular exercise can boost your mood, making you feel more energetic and healthy. Exercise can help to trigger the feel-good chemicals in your brain that encourages positive feelings after a workout. However, it’s important not to exert yourself. The more that you enjoy the experience of exercise, the likelier it is that you will continue to carry out regular physical activity. Learning self-acceptance is very challenging because it demands that we face our strengths and weaknesses. Even though we might be satisfied with our strengths, it’s harder to see our weakness and accept them with as much loving kindness as you would your strengths. By accepting who you are, without judging, blaming or shaming yourself, will help you to let go of any stored up negativity and move forward in a happier direction.